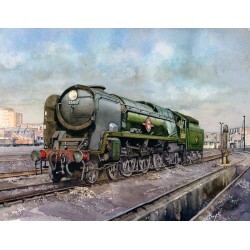 Railway prints by the artist Ray Rawlings. 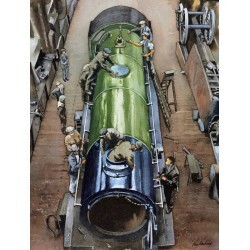 Urie designed Southern Railway King Arthur class loco seen in Eastleigh works in the 1930's. 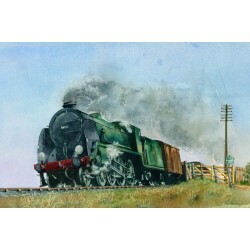 Si..
Ex Southern Railway S15 class 4-6-0 works a mixed goods train between Basingstoke and Reading. Sign..